What an exhilarating couple of months it has been with the Olympics and Paralympics being in Great Britain. It was captivating seeing these athletes compete at the highest levels in both celebrations of sport. The NHS was not forgotten amongst this being celebrated in the opening ceremony. Let us now see what our new Health Secretary, Jeremy Hunt can add to this celebration! Parathyroid surgery is performed to treat hyperparathyroidism. There have been advances in the early detection of hyperparathyroidism leading to an increased number of patients being diagnosed with it, and in pre-operative localization enabling the evolution of minimally invasive techniques. This article is a comprehensive overview of hyperparathyroidism and parathyroid surgery. Introduction: Hereditary haemorrhagic telangiectasia is an autosomal dominant vascular disease characterized by recurrent epistaxis, mucocutaneous telangiectasia and visceral arteriovenous malformations. Methods: The genetic basis and pathophysiology of the disease are discussed. Diagnostic criteria and the clinical course of the condition are considered. 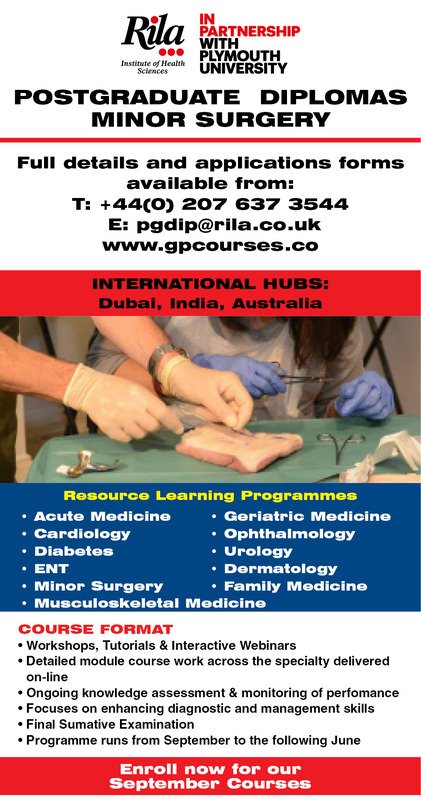 The current management options, both medical and surgical, are reviewed. Conclusion: Hereditary haemorrhagic telangiectasia requires specialist treatment for the problems it causes, and is best managed in specialist centres. Epistaxis is often the major symptom, significantly affecting patients’ quality of life and general well being. 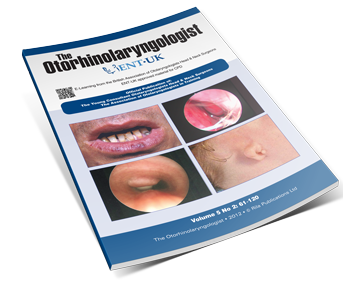 An understanding of the available treatment options is therefore important for the otorhinolaryngologist. Surgery of the maxillary sinus has focused in recent times on interventions centered around the natural ostium of the sinus. Controversies abound regarding the ideal instrumentation for such surgery, indications for particular techniques and the benefit of uncienectomy alone versus a large or small antrostomy. While no absolute answer exists for these questions, this article will examine arguments in favor of and against a variety of surgical interventions. Special considerations apply in treatment of the severely diseased sinus, in the “Silent Sinus Syndrome” and in orbital decompression of thyroid eye disease. Background: Migraine, a disorder classically characterized by episodic headache, may be associated with a variety of very different symptoms, and in the case of migraine associated vertigo (MAV), headache is not always present. A diagnosis of MAV is strongly suggested in patients with known migraine and normal hearing that present with vertigo attacks associated with headache and other migrainous symptoms. Exostoses of the external auditory canal are multiple, usually bilateral benign bony swellings of the ear canal. They are commonly found in surfers and other watersports enthusiasts, particularly those from colder climates. Recent evidence has suggested that repeated cycles of immersion and evaporative cooling may be an important causative factor. Suprastomal granulomas following a paediatric tracheostomy are frequently encountered. The removal of significant suprastomal granulomas is important when considering decannulation and for safety reasons in long-term tracheostomies. Several open and endoscopic techniques have been described to manage this challenging clinical problem, with the maintenance and safeguarding of the airway being of paramount importance during any such procedure. We describe our method for suprastomal granuloma removal, employing a per-stomal approach using a laminectomy ronjeurs, in intubated children. Introduction: The routine use of drains in post-operative thyroid patients was found to have implications on patient length of stay (LOS) and cost in a level 1b study. In view of this, we assessed in our institution whether a change of practice towards the cessation of drain usage should be introduced from the routine use of drains in post-thyroidectomy. Furthermore, we assessed whether this change would have an effect on adverse events and cost effectiveness. This paediatric viva focuses on microtia. It covers how one would manage the child in a District General Hospital, and what one would be expected to explain to the parents about the future management of the condition. Introduction: We aimed to assess the current standard of successful applicants for substantive ENT consultant posts in the UK. Methods: A postal survey of recently appointed substantive ENT consultants in the UK. Results: 12 out of 17 newly appointed consultants returned the survey. At time of appointment they had a mean of 19.4 peer-reviewed publications, 12.5 posters and presentations and 5.08 published audits. All had undertaken Fellowships. 58% had undertaken a Higher Degree. 66% had a formal teaching qualification or had attended a ‘Training the Trainers’ course. Subjectively, respondents felt a Fellowship was the most important factor in securing their appointment. Conclusions: Substantive ENT consultant posts in the UK are competitive and this paper will hopefully act as a guide for current ENT surgical trainees to aim for.